There are lots of reasons why people don't do leg workouts. One reason is that many people associate leg workouts with the plethora of leg machines you see at the gym, and they think that those are required to get a good leg workout in. And while the leg press, squat rack, smith machine, power rack, calf machine, leg extension, leg curl, etc are all going to give you an awesome leg workout, maybe you don't even have a gym membership. Or maybe, you just can't get to the gym that day. So what are you to do? How about giving this at home, dumbbell only, leg workout from Thomas Schultz and muscleandstrength.com a try! This is a great 6 exercise, at home leg workout that takes about an hour to complete. The key to a great leg workout is timing the rest between your sets. You want to keep your rest between sets even and consistent. Depending on what your goals are you may want to rest 30, 45, 60, or 90 seconds, or even 2, 3, 4, or 5 minutes. 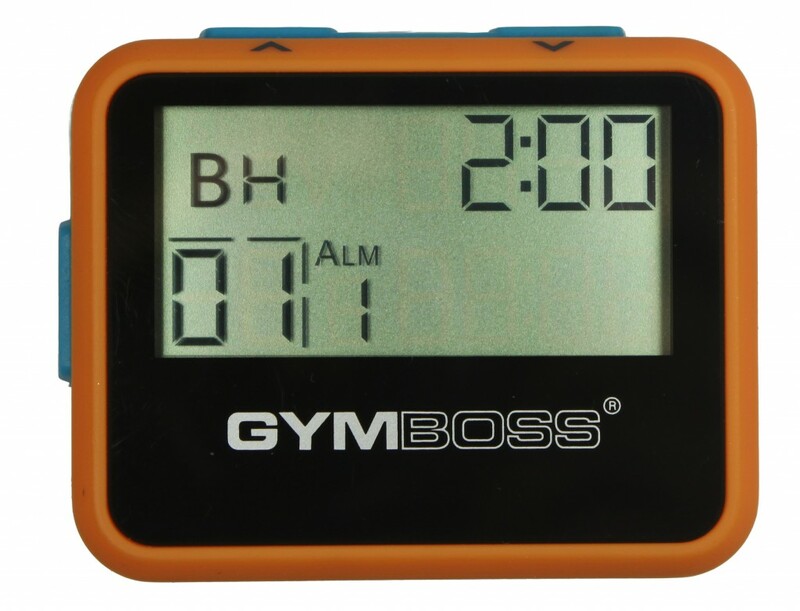 Your Gymboss Interval Timer makes a great weightlifting timer and will easily time your rest between sets to keep your workout on track. Below we show you how to easily set up your Classic or miniMAX timer to easily time this entire leg workout. 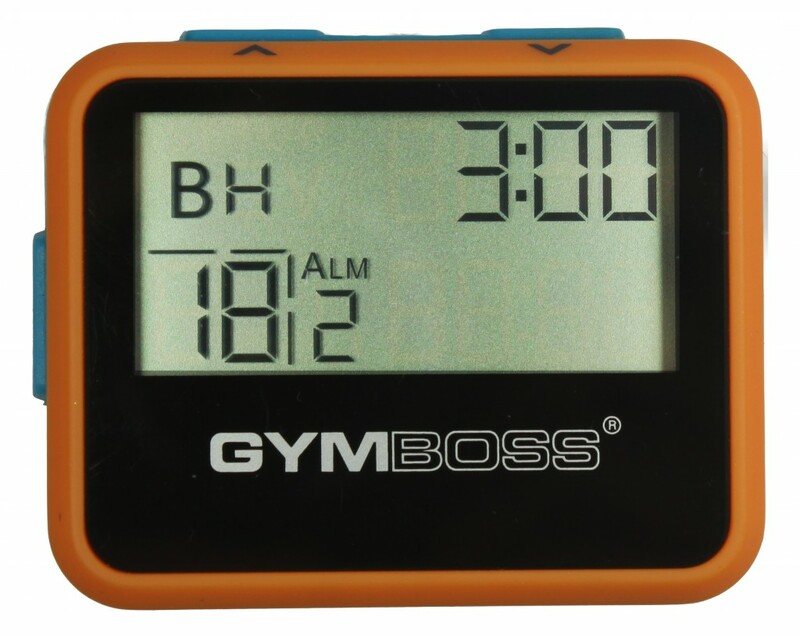 There are 2 different ways to use your Gymboss to time this workout. 1. Time only your desired rest interval, for example 2:00. After each set is completed, click the Start button to start timing the rest period. When it beeps/vibrates, it’s time to do the next set. 2. Time both your work and rest periods together. This allows you to program in the entire workout, keeping track of your completed sets so you don't have to count them. If you know how long it takes you to complete the work period, simply add that time together with the rest period. For example, let’s say you want to do 3 sets of all of the exercise here in this workout. That would be a total of 18 sets. If you know it takes you about 1:00 to complete each set, simply set your Gymboss for one interval of 3:00 for 18 rounds. (1:00 work + 2:00 rest = 3:00 total) Push the start button to begin timing and immediately start the first set, then when completed, rest. The timer will continue to count down and will beep after 3:00 telling you it’s time to start the next set. It will also keep track of the rounds completed by counting them down, so you don't have to. So go ahead and give this at home leg workout a try today. Don't forget to use your Classic or miniMAX weightlifting timer to keep you on track!